Scoop and strain pasta or vegetables with the scoop colander. 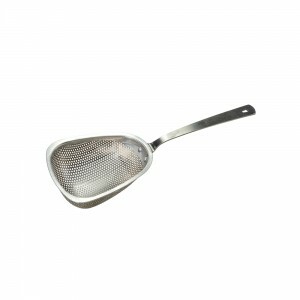 With its long handle, the scoop colander is ideal for easily lifting food out of pots, woks, or friers. Categories: KITCHEN - PREP & COOK, KITCHEN UTENSILS, Scoop Colander, SMALLWARES.